Plan to make your life easier by thinking ahead. For example, arrange things that you need so that they are close at reach, pace yourself when doing tasks, gather things at the same time when doing tasks so that you don’t have to walk up and down. Using a nebulizer has probably been one of the best solutions to help my Mom cope with her breathlessness. I came across this suggestion when researching about people with respiratory diseases and not specifically lung cancer. 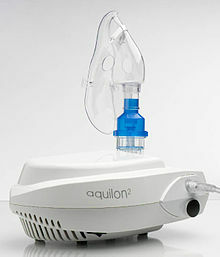 A nebulizer is a drug delivery device used to administer medication in the form of a mist inhaled into the lungs. After speaking to a friend in the medical field and our family doctor, we agreed that this was definitely something worth trying. My Mom uses the nebulizer with a saline solution which adds moisture to her lungs and makes it a lot easier for her breathe. You can get both mains powered and portable nebulizers. It is quite easy to get in the UK by ordering online and in South Africa, Dischem stocks it. The idea of the nebulizer is a good example of how there can be many alternative solutions to a problem. During this journey, I have often said to my Mom that we might not be able to fix things but we can at least find solutions to make things a little more comfortable or easier to deal with. Next Post You make my heart skip a beet…root! I have just learnt something. Wish I knew it when my mom was suffering. Glad I was able to pass on something.